This beautiful design is SO on-trend and would work in any number of baby shower settings-- sure to set the stage for a beautiful party! 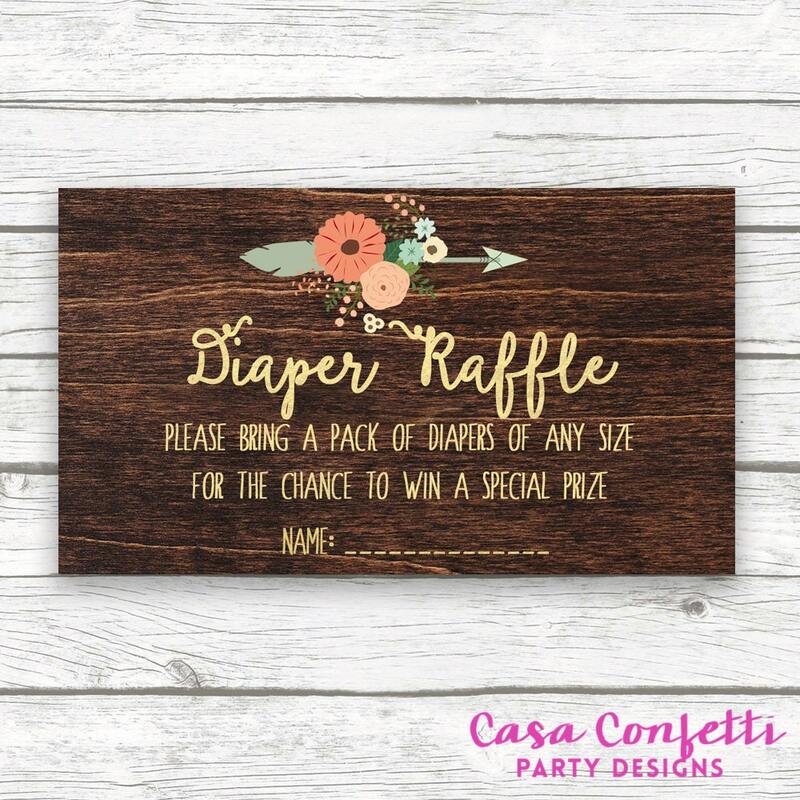 Beautiful, rustic design is so sweet for the mom-to-be-- perfect for a girl or boy baby shower! Help the mom-to-be stock up on diapers! This listing includes a PRINTABLE file with ten (10) cards per sheet. Card measures 3.5" wide x 2" tall (sized to be able to print ten per page to save you time and ink! ).